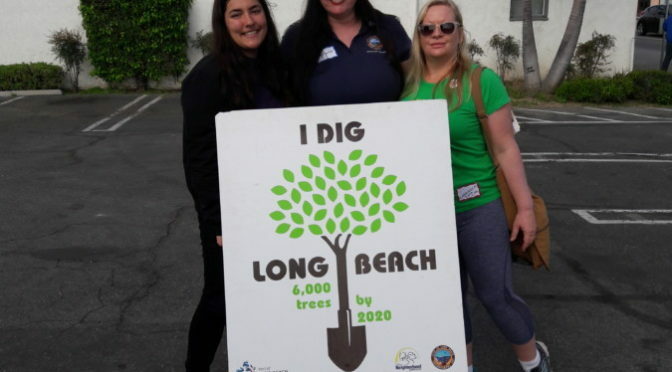 We had a terrific tree planting in RP South last weekend spearheaded by Gabrielle Weeks, Sierra Club and Neighborhood Resources. Thank you Gabrielle and the tons of volunteers who came out – 62 trees are in the earth. Now we have several future actions from re-planting, re-staking to clearing out the tree well and placing weed-block cloth and mulch. And then of course water during the hot-dry season. As most of you know, but it is worth re-stating, is that the city does not maintain the trees. So, consider this our physical activity program! Have you seen the trees on E7th!? They are blooming. A bit spindly due to surviving the drought. The 10th St. trees appear to be thriving – that is, if they haven’t been hit. We have a new resident – David Robinson – who near 10th & Junipero and is helping by monitoring the situation and tending the trees. Scotty’s Tree – RPNA has a few hundred dollars from a request to support a neighborhood beautification action. This request was in the name of Scotty Hinkey which was set up when she passed away Scotty was a long time resident a and sheer life force in Rose Park – the neighborhood, the park and the association. The immediate and overwhelming thought has been to plant a holiday tree in the park. And this is due to Scotty’s legacy event known as the Holiday Tree Lighting. Since then and over a decade we’ve always put up a cut tree – mostly to watch it fall over in the wind. But the park is the city’s and there are some rules for planting in the Park. Watch for updates re: Scotty’s Tree. Previous PostThings 3 of 6 – Crafting?Next PostThings 1 of 6 – People’s State this coming week!